The power of women empowering women. Imagine stepping out of an abusive relationship or toxic environment, becoming sober, releasing drugs from your life, or healing from a loss. Where do you turn for positive influence while you are in self discovery of your new reality? With life change, comes loss and growth. Making a shift and taking a step forward in life is the first step, but we can’t do it alone. A Utah non-profit, WOW (Women of Worth), recognized a need for women who are facing these life changes and more who need a hand up during their next phase of their journey. Women who have made a choice to step out of crisis mode and are in self discovery to become a better version of themselves. WOW focuses on empowering women by giving them access to life skills and confidence tools, one of those being “I AM” statements. It is been said that these are two of the most powerful words, for what you put after them can shape your reality. 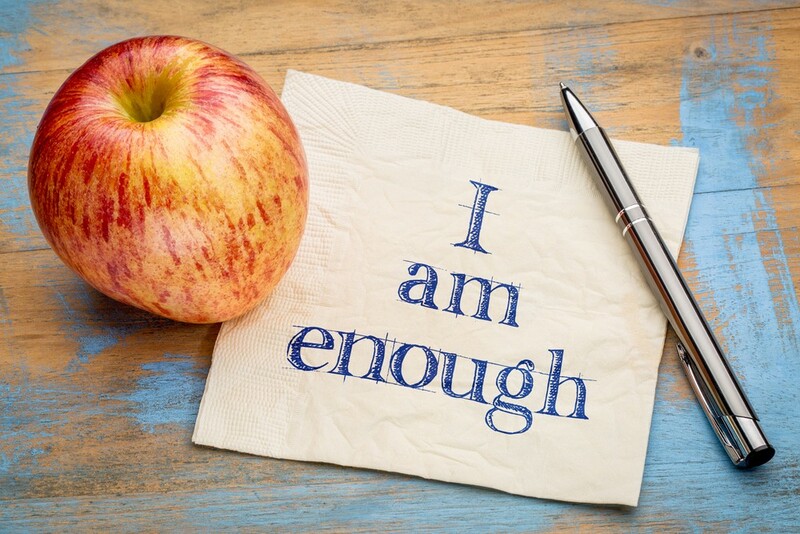 One of the first things the year long program focuses on, is having each of the women create five “I AM” statements and speak them out loud while looking into their eyes through a mirror. It is one of the most difficult things for many women to do. Look in their own eyes and say positive things about themselves. Too often, the inner critic is negative and searching for the flaws. We struggle, even with compliments. Making excuses, versus saying, “Thank You.” Why is saying “I am beautiful” to yourself so hard? Women need support from other women. Positive, uplifting support. Melinda Gates is a firm believer that empowering women and girls is a key to ending poverty. When women and girls become empowered, they stand more confident. Empowerment brings about education, discovery of self worth, and positive influence on others. What would happen if we started a “I Am” campaign for women across the globe? Could we transform women and girls to knowing whole-heartedly they have purpose? Programs like this are needed around the world to provide a healthy, safe space for women to blossom and thrive in life. “I Am” statements are nothing new. They have been used in motivational speeches and seminars for years. Yet, when used as a tool habitually, thoughts and patterns can change. is a powerful statement from Motivational Speaker, Chad Hymas. Chad empowers his audience to let go of what used to be, as this will change your mind to change your brain. In essence you have to be proactive about accepting what you are speaking. Get over the awkwardness of it, and speak it. There is time in every woman’s life where empowerment from another strong woman was/is needed. When women transition from disempowerment to self discovery, they become change agents. Influencers to those around them. Helping others learn to trust and love themselves.